This is my best Deadpool purchase yet. Check him out, he even has a sign that you be changed. 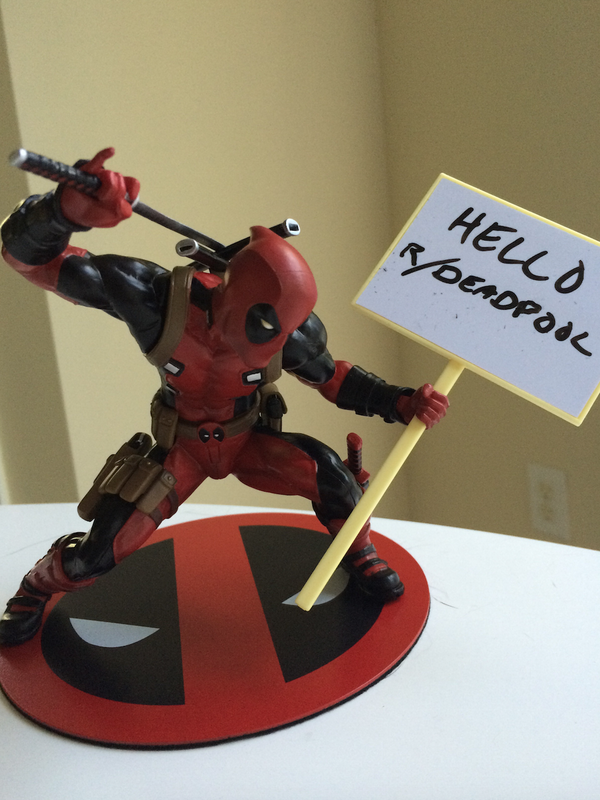 Here he is saying hello to r/deadpool. For those wondering, he is normally $59.95 but with a Barnes & Noble membership discount you can grab this Wade Wilson for $58.00. The stand he is on is metal and his feet have magnets on them. It was a model kit that was about 10 pieces and was very easy to put together. Go find yours now!